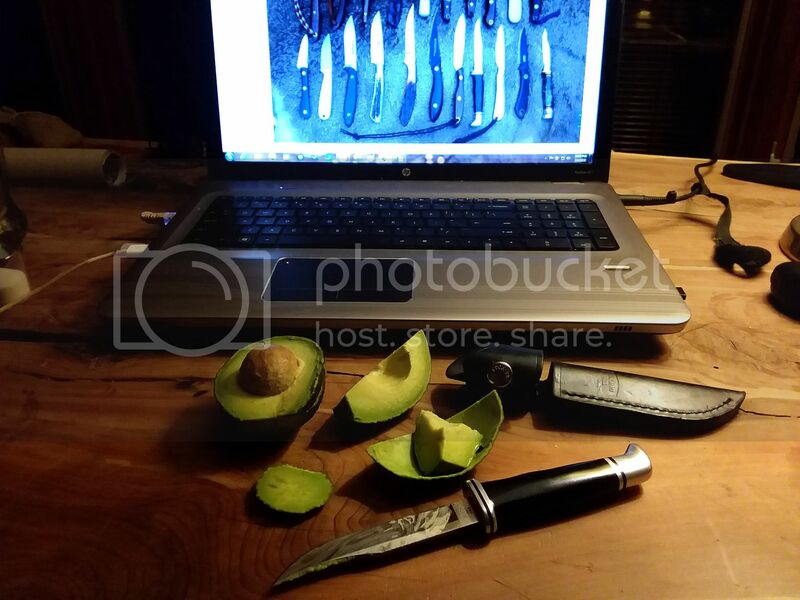 Discussion in 'General Knife Discussion' started by Hobbes118, Sep 8, 2018. 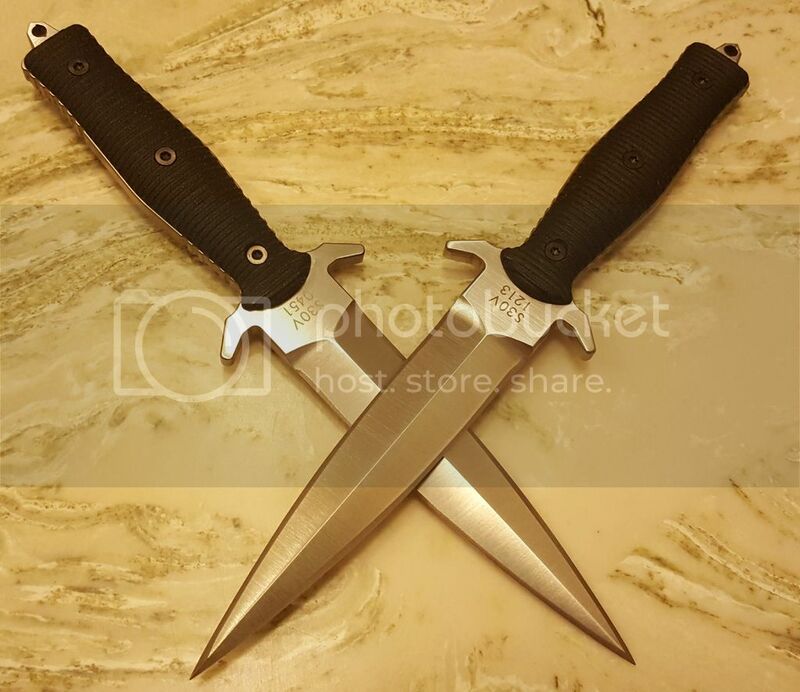 - TWO, Les George Galvos Daggers CTS-XHP. 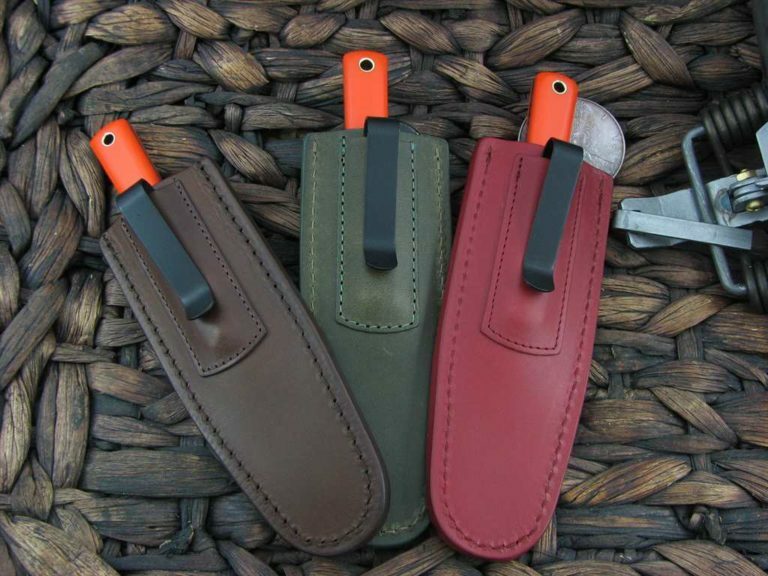 (TWO) leather sheaths, (TWO) kydex sheaths. 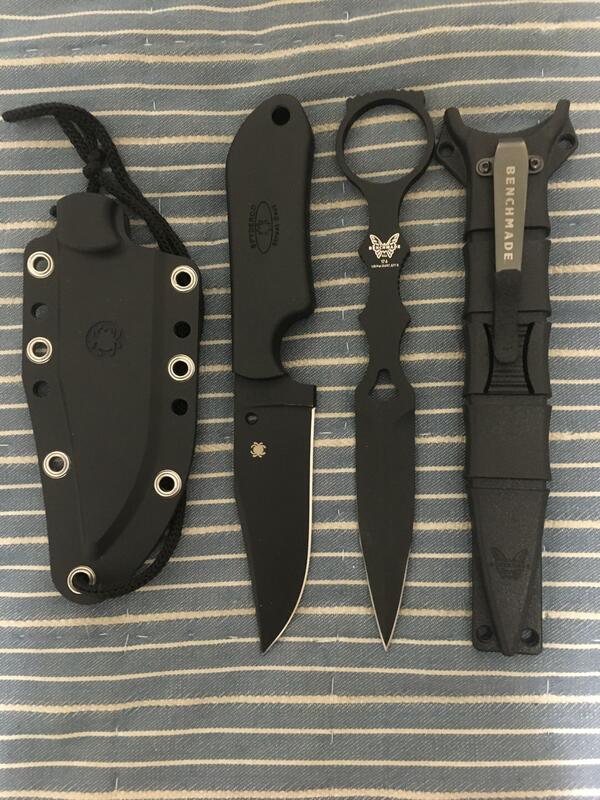 - FOUR, CRKT Columbia River 2010K Crawford Kasper Dragon Combat Knife 4.5"
Gary W. Graley, rpn, DocJD and 2 others like this. DocJD, fq55 and Tommy-Chi like this. Did you have the false edge on your Bradford G3s added, or did they come with them? Any pics? I don't have any pics of the knives. There is a tapered swedge. I would not call it a false edge, but that is how it is listed. 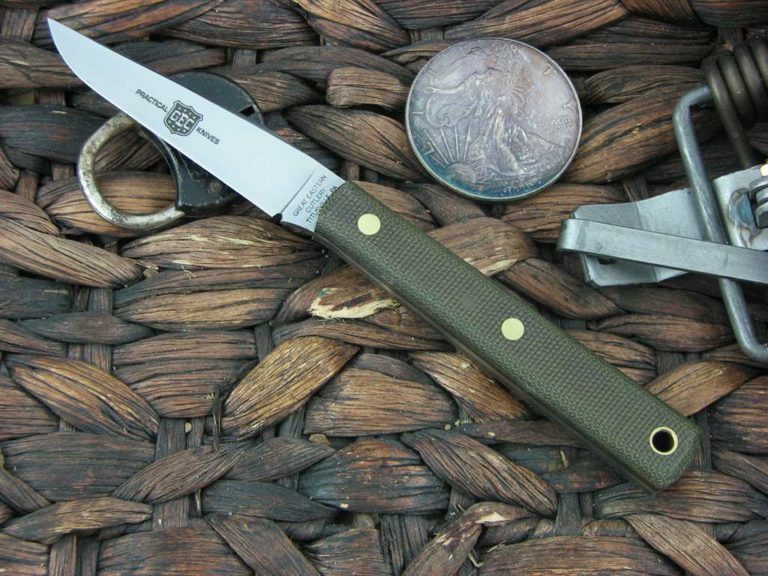 I plan to buy the Bradford Guardian 4 in M390 too. 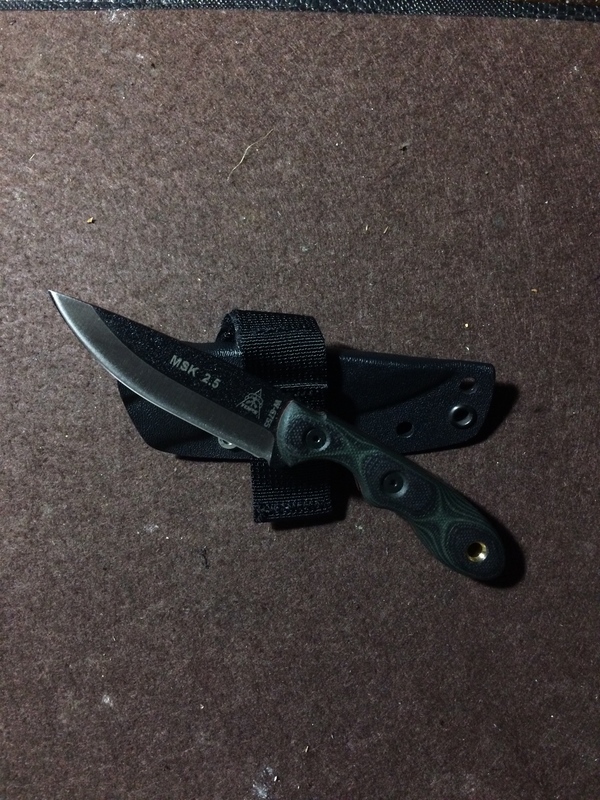 I love these knives and it's a decent sized blade in M390, one of my favorite steels. I built the sheath for this one. 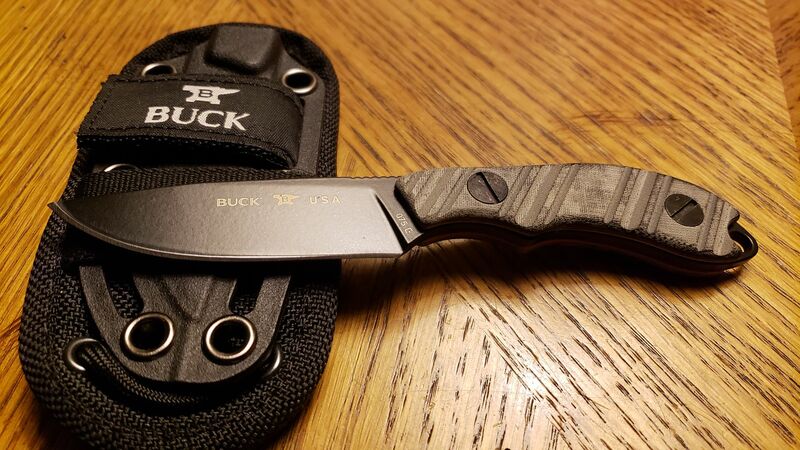 Nice little knife. Ruana sidekick. 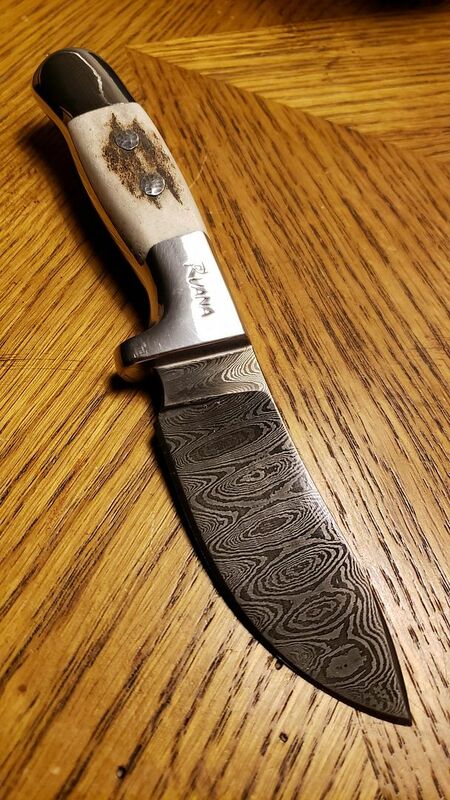 Collaboration with a Missoula MT blades Smith for the Damascus blades. 100 were made. MolokaiRider, Dan of Bazz Clazz, DocJD and 3 others like this. 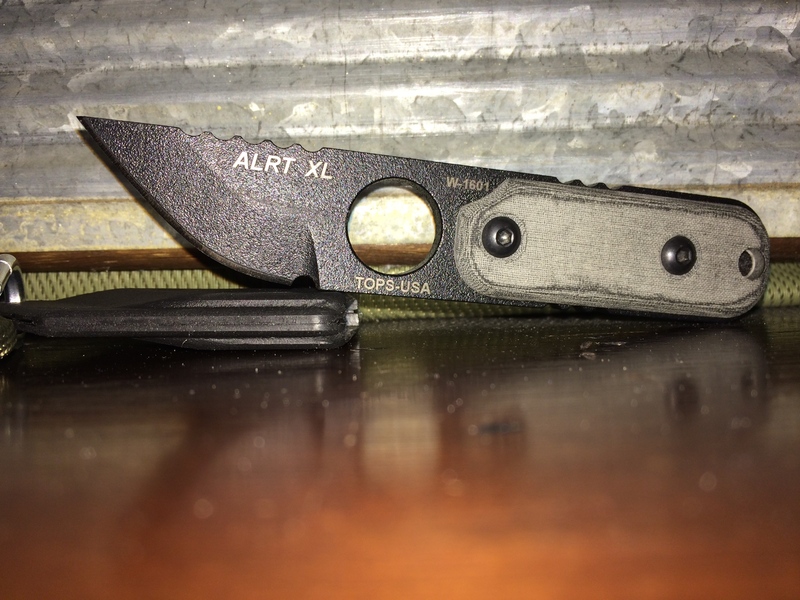 Virtually all of my knives, fixed and folding are small compared to most here on BF. 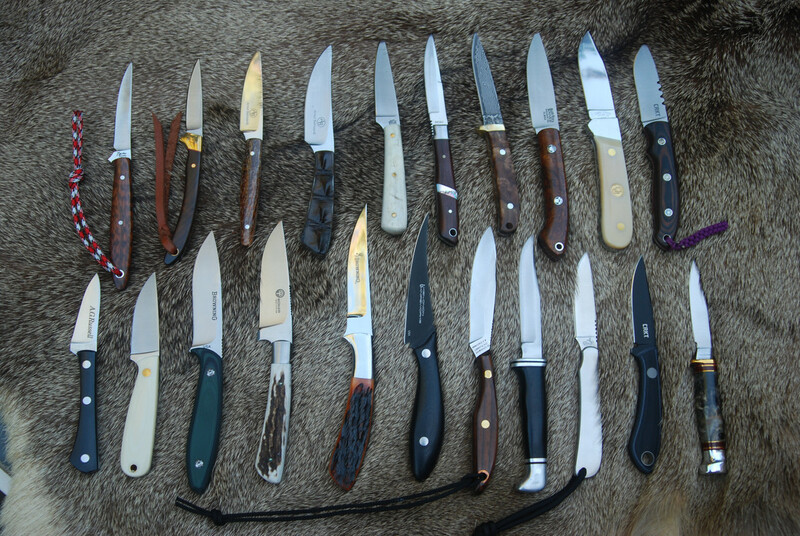 Here is a recent photo of the upper end of my Bird & Trout knives which are small by definition, not by usefulness. valknut, MolokaiRider, jux t and 6 others like this. lieferung and jmh33 like this. I like seeing that the 102 still has fans. 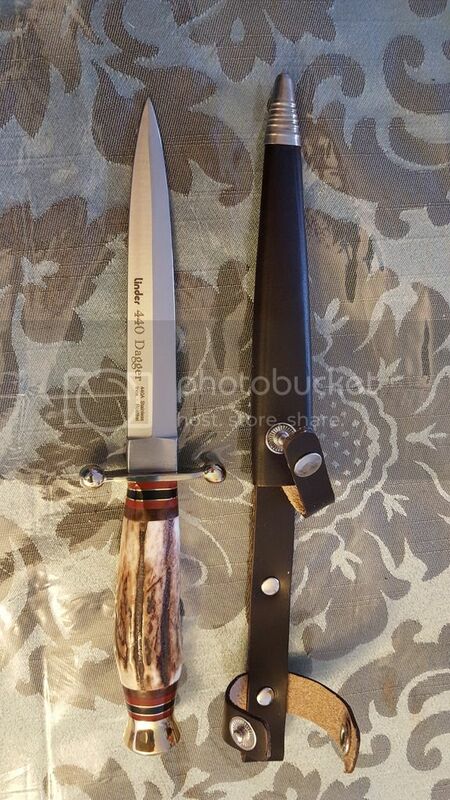 It wasn't my first hunting knife, but it was my first serious stainless hunting knife that my dad bought for me when we moved to Tampa in 74 when I was 9. It was there that he really ramped up my skills training in living off the land during the stock market crash and recession of the 70s. He had grown up there during the depression of the 30s. 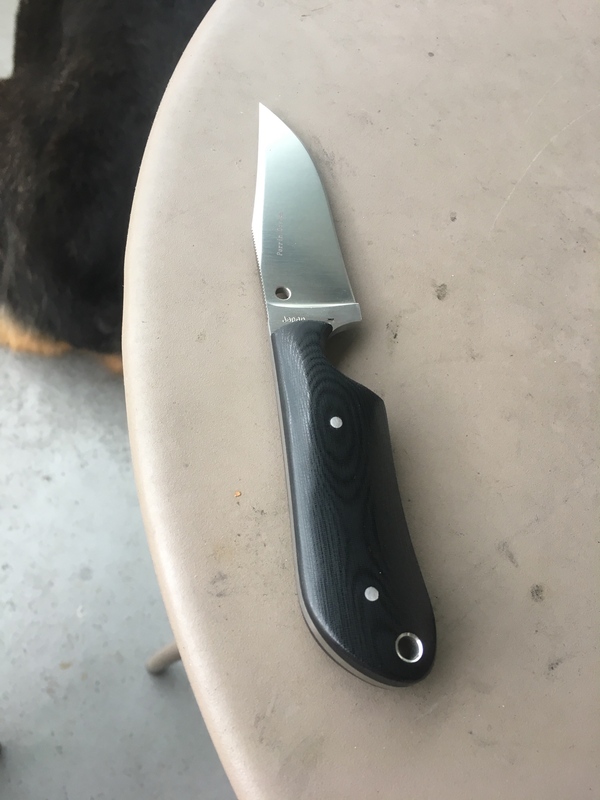 The 102 was the replacement for a German made hi carbon steel knife I ruined pretty quickly not understanding the salt water effects on steel. By the time I was 12 he was getting more advanced with lessons and I had a Buck 119 and slip joint folder combination. I'm currently working on my biography, so I've spent some time carrying and using a new 102 to help remember some of the details of it that are buried now. One of the areas we went to a lot had some avocado trees. MolokaiRider, Rykjeklut and Dan of Bazz Clazz like this. 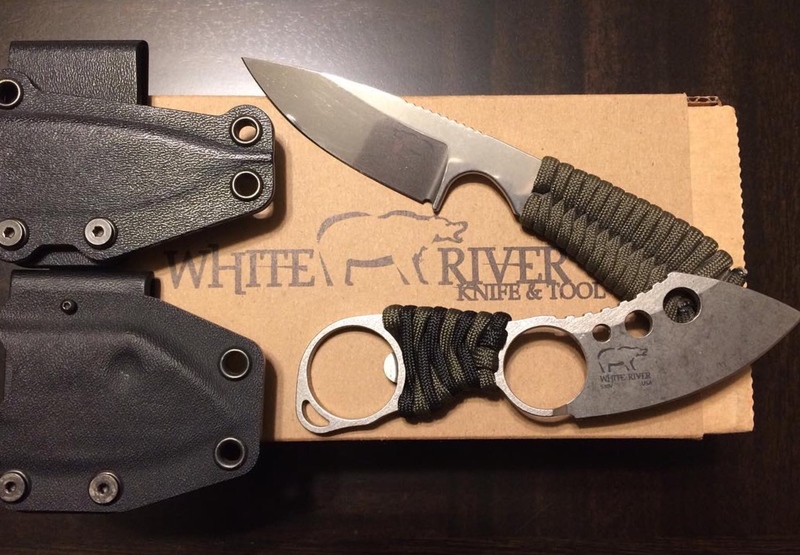 Really like the look of those White River knives. Like pointier Izulas. Looks like it will be a great little EDC fixed. The Zieg, B Griffin, Dan of Bazz Clazz and 2 others like this. Cool. It does certainly look practical. I'll look them up. ponykid, MolokaiRider, 115Italian and 2 others like this. 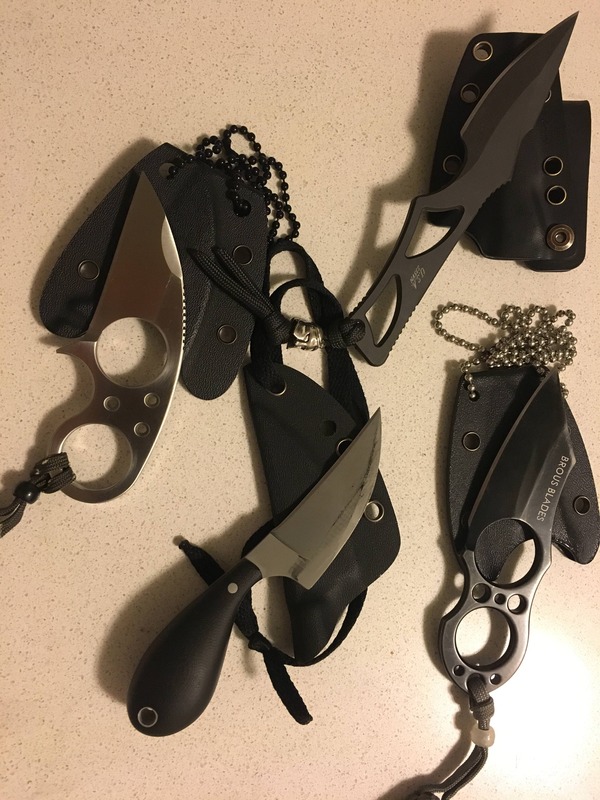 Thanks since I live in the city small edc self defense based fixed blades are a favourite of mine.